I bet you don’t give much thought to not having access to your shampoo, hand soap, or body wash. Like me, you probably take for granted you will always be able to have these products in your bathroom. It’s likely you don’t stress about just picking up more when they run out. For millions around the world, having access to something as simple as soap isn’t a given. This doesn’t have to be a reality thanks to Soapbox, a company giving hope with soap around the globe. So how does Soapbox make a difference in the world? With every purchase of one of their products, Soapbox donates a bar of soap to those in need. These bars of soap, made from recycled and sanitized hotel soaps, can help improve livelihoods and lives by teaching the importance of proper hygiene. In many places, life-threatening diseases can be spread because of lack of access to clean water and by not performing the simple act of handwashing. To date, SoapBox has donated over 2 million bars of soaps to over 60 countries. You can actually see exactly where your bar of soap is heading because each SoapBox product comes with a Hope Code. I looked up all five of my Hope Codes on the website and was excited to learn I was helping families in Baltimore, Nepal, Cambodia, and India. In addition to donating soap and employing hygiene ambassadors, purchasing Soapbox products also funds groundbreaking research. You can read more about all the good Soapbox is doing on their website. SoapBox was kind of enough to send me their Coconut Oil Shampoo and Conditioner, Sea Minerals & Blue Iris Body Wash, and Citrus & Peach Rose Liquid Hand Soap and Bar Soap. Not only do these products smell amazing but they work amazingly well. I also really love that they are cruelty-free, made in the USA, and free of SLS, SLES, paraben, silicone and artificial colors. Let’s start with my favorite products of my bundle, the Coconut Oil Shampoo and Conditioner. I was a little apprehensive to use these at first because they are designed to nourish and moisturize. I have oily prone hair so many times moisturizing hair products don’t work in my hair. This is not the case with Soapbox’s Coconut Oil line. My hair never felt or looked so amazing days after I washed it. I actually have to use less dry shampoo, which is a miracle. When I do use dry shampoo, it seems to work better because my hair is less oily. Next up is the Sea Minerals & Blue Iris Body Wash. Infused with shea and aloe, the body wash helps to seal in hydration and leave my skin feeling lightly moisturized and clean. I really like the creamy, lightweight formulation and the addition of the sea minerals, which naturally detoxify my skin. Since I have dry skin, I’m curious to try SoapBox’s Coconut Milk & Sandalwood Body Wash, which is designed for deep moisture. I would recommend the Sea Minerals & Blue Iris Body Wash if you only need gentle moisture. Last, but certainly, not least is the SoapBox Citrus & Peach Rose Liquid Hand Soap and Bar Soap. These soaps smell amazing. Although I haven’t used the bar soap yet, I’m halfway through the liquid hand soap. This is how much I love it, plus I wash my hands a lot throughout the day. Formulated with aloe, shea butter, and olive oil, these soaps are designed to provide much-needed moisture. I love that they remove dirt without stripping my skin of hydration. And even better, my hands smell incredible all day and all night. I know I will be repurchasing everything I tried from SoapBox and trying more of their products again and again. 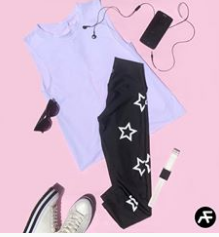 It’s hard not to support brands who make amazing products and are on a mission to do good in the world. Have you tried SoapBox products before? Which scent would you try first? Well, World Coconut Day (Sept. 2nd) may be over for this year, but I don’t know anyone who feels beholden to enjoy coconut-infused products only one day a year. Do you? There is nothing more soothing than a long, warm bath or shower complemented by the perfect bath products. 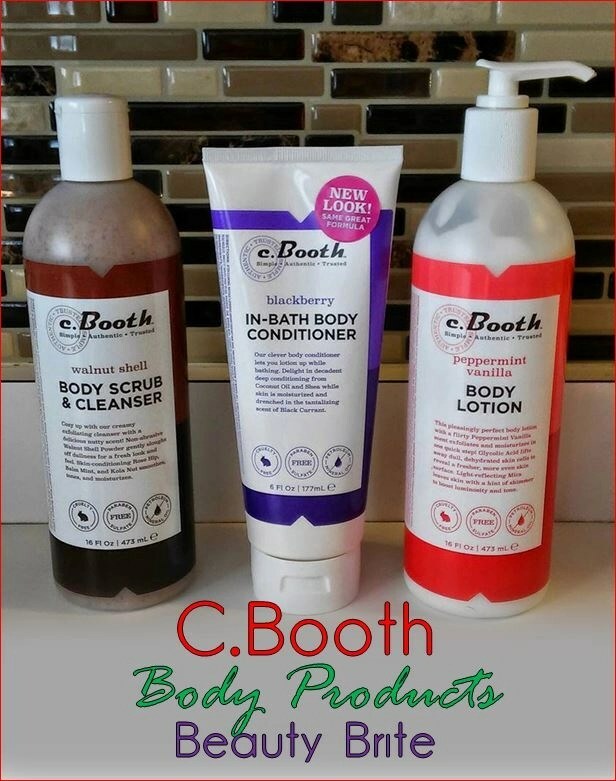 I had the opportunity to experience C. Booth’s popular line of trusted body products. The scents are delightfully yummy, designed to help you shake off those winter blues. My family and I live on a budget, so I love using products that are affordable, versatile and low maintenance. 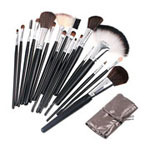 As a beauty blogger at Beauty Brite, I have the opportunity to try many different products. Over the years, I’ve been able to try brands and products I never would have discovered had I not been a blogger. I am very thankful for the opportunities I am presented with. I am also grateful I have an amazing audience, readers, subscribers and fans that visit often. I have been using coconut oil for a few years now. I use it for various beauty purposes. 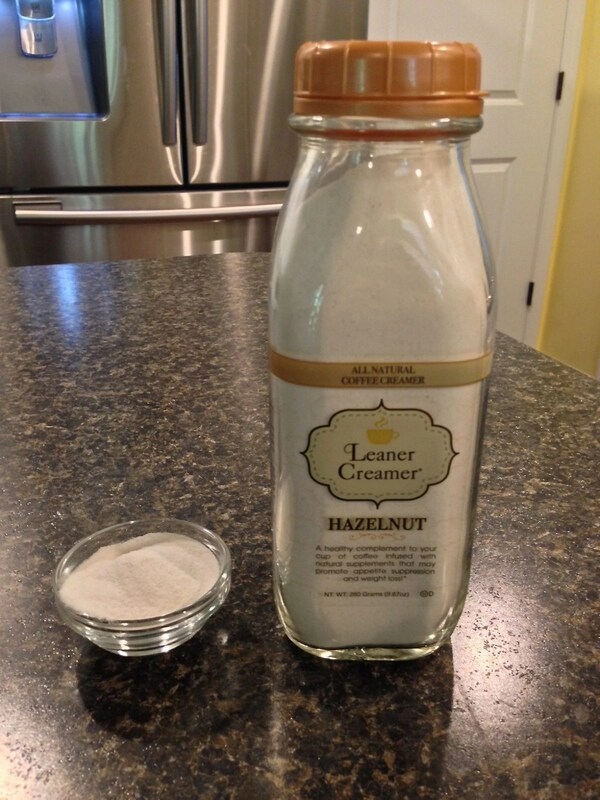 When I was asked to try the spray on coconut oil, I quickly accepted! 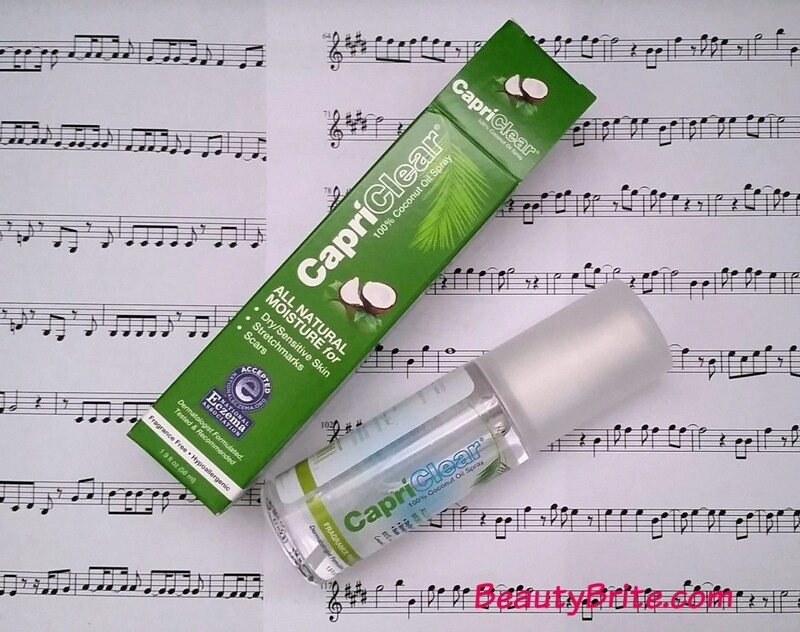 I received CapriClear Spray On Moisturizer to review in exchange for my honest opinion. 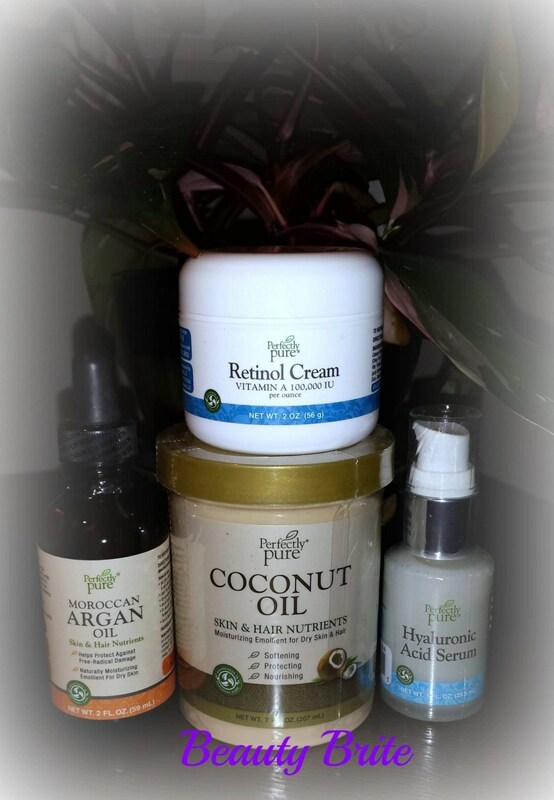 When I was asked to try natural skin care products from Perfectly Pure, I did not even hesitate. I love natural, organic and earth friendly products. I prefer using products that are safe my skin as well as for my entire family. I was sent a wide array of products to review in exchange for my honest opinion.